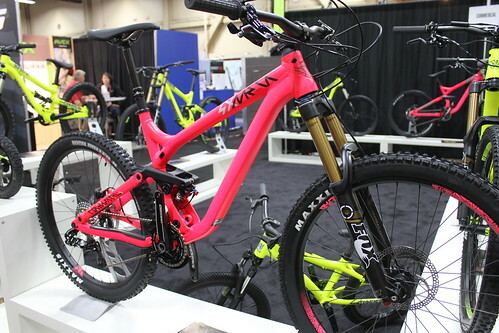 COMMENCAL has always been a bike that looks cool to me. If you have never heard of this little company from Andorra, they have had such riders as Anne-Caroline Chausson, Cédric GRACIA, and the powerhouse cycling family “the ATHERTONs on their bikes. Winning races all over the world cup circuit. Since 2000 this small company has made a big impact in a short time. The flag ship SUPREME DH WORLD CUP leads the way with all the bells and whistles you need to take on any World Cup course. 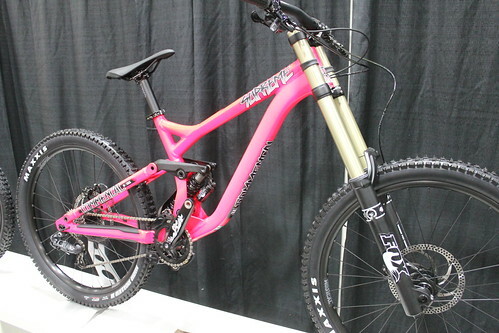 Top of the line Fox suspension, Formula Disc brakes, SRAM XO, RaceFace cranks, and E-13 Chain Guide you are ready for that rainbow jersey. 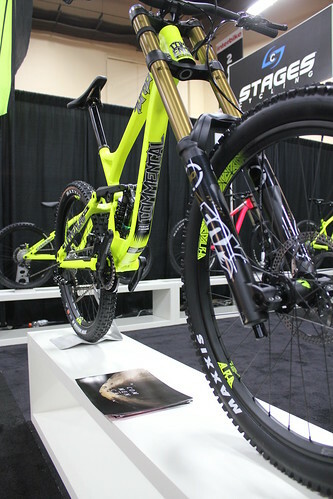 Now don’t take this one lightly, the SUPREME DH may not be the top of the line, but it will take you to the top of the podium if you have what it takes. It shares a lot of the same company components, but just the the next step down. 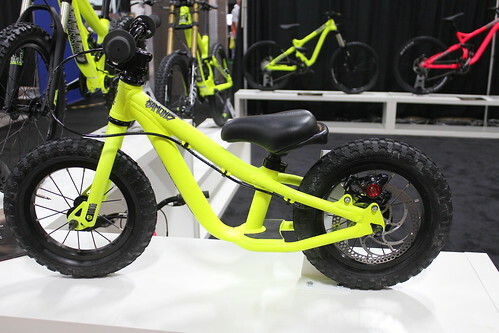 A closer look at the rear suspension gives you a super plush ride in the rough. This is badass 6″ Enduro entry with Fox Float CTD with remote lever, Fox 34 Float Factory CTD FIT Remote. 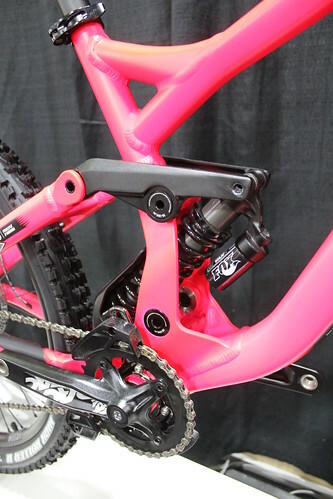 Both fork and shock have the KASHIMA Coating for smooth action, Formula Brakes, SRAM XO, and to top off a Rock Shox Reverb Stealth dropper seatpost. 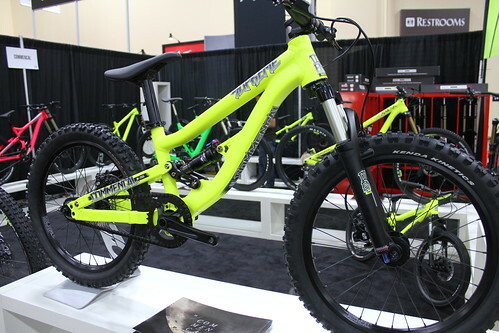 Also COMMENCAL has their Push Along called the RAMONES 12, which is disc brake compatible. The colors may be a little bright, but one things for sure you will be noticed when you cross that finish line and to see more about the COMMENCAL line go to commencal.com.